The 2019 Toyota Highlander is the ultimate three-row people mover. 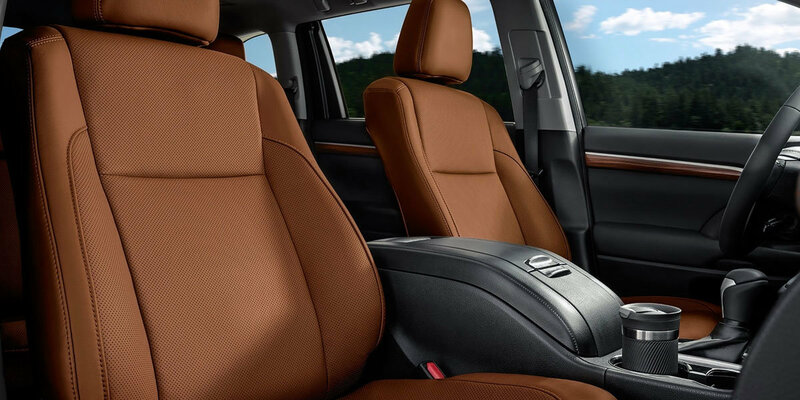 With roomy seating designed for comfort, an array of standard security features, a powerful V6 engine and a solid reputation for reliability, the Highlander covers all the bases for families on the go. Sized just right, the Highlander can easily maneuver around Downtown Morgantown. Dropping the kids to a birthday event at the Kid's Kingdom in the Morgantown Mall, or out with friends for Team Trivia Night at Kegler’s, The 2019 Toyota Highlander does it in style. Configure the second row to fold flat and get that cargo space for all your fishing, camping or hiking gear. Strap a kayak to the roof rail crossbars, add a bike rack and you have all you need for a Chestnut Ridge Regional Park weekend adventure. Enjoy your creature comforts while roughing it! Three 12 volt ports, and five USB connections distributed throughout the cabin, keep all your accessories running and devices charged. Not feeling the rustic campout vibe? 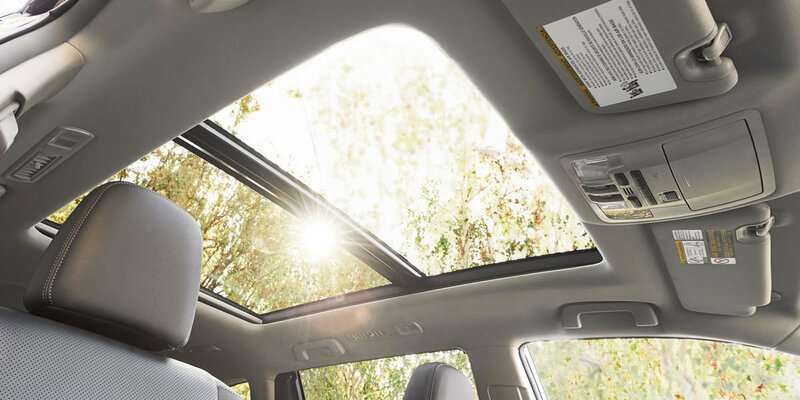 You can still enjoy the starlit sky through the Toyota Highlander’s massive panoramic moonroof without getting one mosquito bite. Be unique and stand out! Opt for the Highlander’s Special Edition trim, with a Midnight-Black grille, LED headlights, fog and taillights, as well as matching side mirrors, door handles and black 19-inch rims. Everyone will be watching as you cruise around Morgantown. Stunning appearance is not the only trick that the 2019 Toyota Highlander has up its sleeve. The 5-Star rated Toyota Safety Sense™ system comes as standard equipment. The Toyota Highlander is always monitoring your surroundings through a front-facing intelligent camera and a 360° advanced sensor array. Getting too close? The Highlander’s automatic braking assist will minimize the likelihood of a collision. Toyota’s JBL tuned 12 speakers, including a subwoofer, is for the true audiophile. All of the Highlander’s rich multimedia features can be controlled via a high-res 8-inch touch screen display and powered by the Entune™ 3.0 App Suite with Apple CarPlay©. JBL’s GreenEdge™ technology delivers an amazing sound experience while improving your SUV’s energy and fuel efficiency. Need to park around Downtown Morgantown? Now it is much easier with Toyota’s bird’s eye camera giving you a 360° view of your perimeter. When parking, scan for nearby obstacles, kids or pets below the rear view mirrors line of sight. 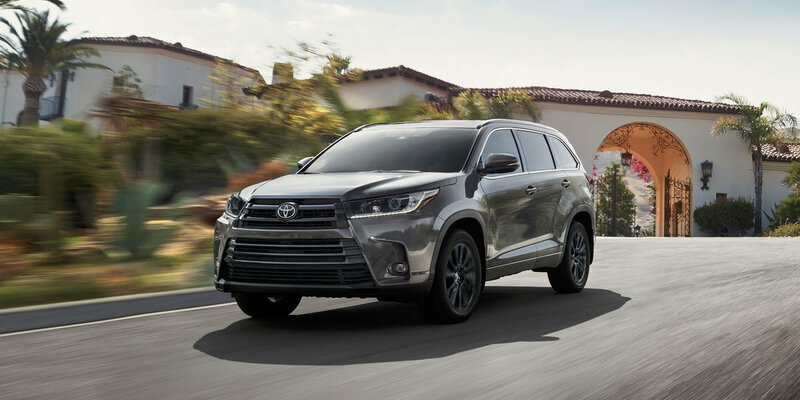 The optional 3.5-litre V6 engine, coupled with the Shift-8 automatic transmission, gives the 2019 Toyota Highlander all the performance and power you need when driving the I-68 for your regular work commute, or just getting out of town. 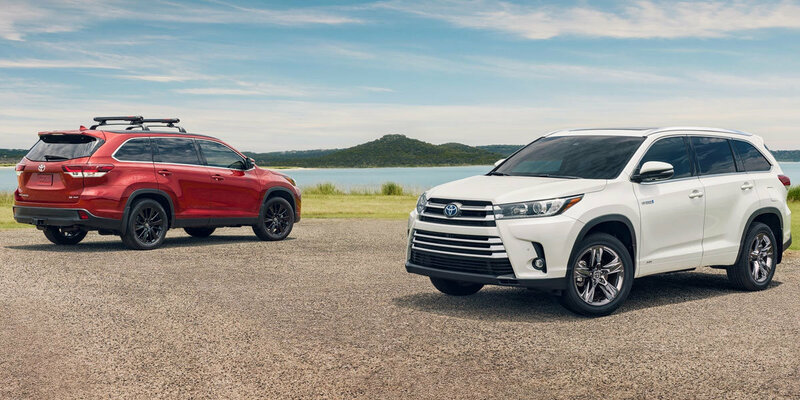 View and test drive the refined and luxurious 2019 Toyota Highlander at University Toyota. Call us at 304-244-3519 or contact us now to view our Toyota inventory. Our experienced and friendly staff are here to serve you. Note that University Toyota is also a full-service dealership catering to all your vehicular needs. Infotainment screen size: 6.1 in. Infotainment screen size: 8 in. Infotainment screen size: 8 in. Infotainment screen size: 8 in. Infotainment screen size: 8 in. Infotainment screen size: 8 in. Video monitor size: 9 in. Video monitor size: 9 in. Video monitor size: 9 in. Includes front and rear carpet floor mats, cargo liner, cargo net, and first aid kit. Includes front and rear carpet floor mats, cargo liner, front and rear mudguards, and door edge guards. Includes body side moldings, door edge guards, rear bumper protector, and alloy wheel locks.